"Public service broadcasting" redirects here. For the English musical duo, see Public Service Broadcasting (band). For the American television channel, see PBS. Public broadcasting includes radio, television and other electronic media outlets whose primary mission is public service. In much of the world, funding comes from the government, especially via annual fees charged on receivers. In the United States, public broadcasters may receive some funding from both federal and state sources, but generally most financial support comes from underwriting by foundations and businesses ranging from small shops to corporations, along with audience contributions via pledge drives. The great majority are operated as private not-for-profit corporations. Public broadcasting may be nationally or locally operated, depending on the country and the station. In some countries, public broadcasting is run by a single organization. Other countries have multiple public broadcasting organizations operating regionally or in different languages. Historically, public broadcasting was once the dominant or only form of broadcasting in many countries (with the notable exception of the United States). Commercial broadcasting now also exists in most of these countries; the number of countries with only public broadcasting declined substantially during the latter part of the 20th century. While application of certain principles may be straightforward, as in the case of accessibility, some of the principles may be poorly defined or difficult to implement. In the context of a shifting national identity, the role of public broadcasting may be unclear. Likewise, the subjective nature of good programming may raise the question of individual or public taste. Within public broadcasting there are two different views regarding commercial activity. One is that public broadcasting is incompatible with commercial objectives. The other is that public broadcasting can and should compete in the marketplace with commercial broadcasters. This dichotomy is highlighted by the public service aspects of traditional commercial broadcasters. Public broadcasters in each jurisdiction may or may not be synonymous with government controlled broadcasters. In some countries like the UK public broadcasters are not sanctioned by government departments and have independent means of funding, and thus enjoy editorial independence. Public broadcasters may receive their funding from an obligatory television licence fee, individual contributions, government funding or commercial sources. Public broadcasters do not rely on advertising to the same degree as commercial broadcasters, or at all; this allows public broadcasters to transmit programmes that are not commercially viable to the mass market, such as public affairs shows, radio and television documentaries, and educational programmes. One of the principles of public broadcasting is to provide coverage of interests for which there are missing or small markets. Public broadcasting attempts to supply topics of social benefit that are otherwise not provided by commercial broadcasters. Typically, such underprovision is argued to exist when the benefits to viewers are relatively high in comparison to the benefits to advertisers from contacting viewers. This frequently is the case in undeveloped countries that normally have low benefits to advertising. The Canadian government is committed to official bilingualism (English and French). As a result, the public broadcaster, the CBC employs translators and journalists who speak both official languages and it encourages production of cross-cultural material. Quebec separatists argue that this is also a policy of cultural imperialism and assimilation. In the UK, the BBC supports multiculturalism and diversity, in part by using on-screen commentators and hosts of different ethnic origins. There are also Welsh, Irish and Scottish Gaelic language programmes for the home nations, an Asian Network broadcasting in English and five major languages of South Asia, and the BBC World Service broadcasts in 31 international languages, also funded independently of government. In New Zealand, the public broadcasting system provides support to Māori broadcasting, with the stated intention of improving their opportunities, maintaining their cultural heritage and promoting their language. In Australia, the Australian Broadcasting Corporation is legally required to 'encourage and promote the musical, dramatic and other performing arts in Australia' and 'broadcasting programs that contribute to a sense of national identity' with specific emphasis on regional and rural Australia'. Furthermore, the Special Broadcasting Service (SBS) is intended to reflect the spirit and sense of multicultural richness and the unique international cultural values within Australian society. The model, established in the 1920s, of the British Broadcasting Corporation—an organization widely trusted, even by citizens of the Axis Powers during World War II—was widely emulated throughout Europe, the British Empire, and later the Commonwealth. The public broadcasters in a number of countries are basically an application of the model used in Britain. Modern public broadcasting is often a mixed commercial model. For example, the CBC is funded by advertising revenue supplemented by a government subsidy to support its television service. State presence in television had a strong history, not in the way of European style public service radio or television. The private sector has taken an active role in the development of television in Buenos Aires. In opposition, state broadcasters tend to be federal and technical innovative, such as the Televisión Pública Argentina, the first national TV station, 60 years old. In Brazil, the two main public broadcasters are EBC (Empresa Brasil de Comunicação) and the Fundação Padre Anchieta. The EBC was created in 2007 to manage the Brazilian federal government's radio and television stations. EBC owns broadcast networks such as TV Brasil (launched in 2007, being the merger of Rio de Janeiro's TV Educativa (1975–2007) and Brasília's TV Nacional (1960–2007)), the Nacional and MEC radios. The Fundação Padre Anchieta was created by the government of the state of São Paulo in 1967 and includes a television station (TV Cultura, launched in 1969 in São Paulo), and two radio stations (Rádio Cultura FM and Rádio Cultura Brasil). The Padre Anchieta Foundation is a privately held company which maintains autonomy. Minas Gerais also has its own public broadcasting system, formed by Rede Minas television channel and two stations of Rádio Inconfidência (which also broadcasts in shortwave). They were united in 2016 to forme Empresa Mineira de Comunicação - EMC (Communication Company of Minas Gerais). The state of Espírito Santo also has its own public radio (Rádio Espírito Santo) and television (Televisão Educativa do Espírito Santo - TVE-ES, Educative Television of Espírito Santo). In Canada, the main public broadcaster is the national Canadian Broadcasting Corporation (CBC; French: Société Radio-Canada), a crown corporation – which originated as a radio network in November 1936. It is the successor to the Canadian Radio Broadcasting Commission (CRBC), which was established by the administration of Prime Minister R.B. Bennett in 1932, modeled on recommendations made in 1929 by the Royal Commission on Radio Broadcasting and stemming from lobbying efforts by the Canadian Radio League. The Canadian Broadcasting Corporation took over operation of the CRBC's nine radio stations (which were largely concentrated in major cities across Canada, including Toronto, Vancouver, Montreal and Ottawa). The CBC eventually expanded to television in September 1952 with the sign-on of CBFT in Montreal, the first television station in Canada to initiate full-time broadcasts, which initially served as a primary affiliate of the French language Télévision de Radio-Canada and a secondary affiliate of the English language CBC Television service. CBC operates two national television networks (CBC Television and Ici Radio-Canada Télé), four radio networks (CBC Radio One, CBC Radio 2, Ici Radio-Canada Première and Ici Musique) and several cable television channels including two 24-hour news channels (CBC News Network and Ici RDI) in both of Canada's official languages – English and French – and the French-language science channel Ici Explora. CBC's national television operations and some radio operations are funded partly by advertisements, in addition to the subsidy provided by the federal government. The cable channels are commercial entities owned and operated by the CBC and do not receive any direct public funds, however, they do benefit from synergies with resources from the other CBC operations. The CBC has frequently dealt with budget cuts and labour disputes, often resulting in a debate about whether the service has the resources necessary to properly fulfill its mandate. As of 2017[update], all of CBC Television's terrestrial stations are owned and operated by the CBC directly. The number of privately owned CBC Television affiliates has gradually declined in recent years, as the network has moved its programming to stations opened by the corporation or has purchased certain affiliates from private broadcasting groups; budgetary issues led the CBC to choose not to launch new rebroadcast transmitters in markets where the network disaffiliated from a private station after 2006; the network dropped its remaining private affiliates in 2016, when CJDC-TV/Dawson Creek and CFTK-TV/Terrace, British Columbia defected from CBC Television that February and Lloydminster-based CKSA-DT disaffiliated in August of that year (to become affiliates of CTV Two and Global, respectively). The CBC's decision to disaffiliate from these and other privately owned stations, as well as the corporation decommissioning its network of rebroadcasters following Canada's transition to digital television in August 2011 have significantly reduced the terrestrial coverage of both CBC Television and Ici Radio-Canada Télé; the Canadian Radio-television and Telecommunications Commission (CRTC) does require cable, satellite and IPTV providers to carry CBC and Radio-Canada stations as part of their basic tier, regardless of terrestrial availability in an individual market. Of the three major French-language television networks in Canada, Ici Radio-Canada Télé is the only one that maintains terrestrial owned-and-operated stations and affiliates in all ten Canadian provinces, although it maintains only one station (Moncton, New Brunswick-based CBAFT-DT) that serves the four provinces comprising Atlantic Canada. In recent years, the CBC has also expanded into new media ventures including the online radio service CBC Radio 3, music streaming service CBC Music, and the launch of online news services, such as CBC Hamilton, in some markets which are not directly served by their own CBC television or radio stations. In addition, several provinces operate public broadcasters; these are not CBC subentities, but distinct networks in their own right. Most of the provincial services maintain an educational programming format, differing from the primarily entertainment-based CBC/Radio-Canada operations, but more closely formatted to (and carrying many of the same programs as) the U.S.-based Public Broadcasting Service (PBS), which itself is available terrestrially and – under a CRTC rule that requires Canadian cable, satellite and IPTV providers to carry affiliates of the four major U.S. commercial networks (ABC, NBC, CBS and Fox) and a PBS member station – through pay television providers in Canada via member stations located near the U.S.–Canada border. These educational public broadcasters include the English-language TVOntario (TVO) and the French-language TFO in Ontario, Télé-Québec in Quebec, and Knowledge Network in British Columbia. TVO and Télé-Québec operate through conventional transmitters and cable, while TFO and Knowledge Network are cable-only channels. Beyond these and other provincial services, Canada does not have a national public educational network. Canada is also home to a number of former public broadcasting entities that have gone private. CTV Two Alberta, which is licensed as an educational television station in Alberta, was once owned by the Alberta government as the public broadcaster Access. In 1993, the provincial government agreed to cease to direct funding of Access after the 1994 fiscal year; the channel was sold to CHUM Limited in 1995, which initially acquired the channel through a majority-owned subsidiary, Learning and Skills Television of Alberta Limited (LSTA). To fulfill its license conditions as an educational station, it broadcasts educational and children's programming during the daytime hours, while airing entertainment programming favoured by advertisers and viewers in prime time. The service discontinued its broadcast transmitters in Calgary and Edmonton in August 2011, due to the expense of transitioning the two stations to digital, and the fact that the service had mandatory carriage on television providers serving Albera regardless of whether it ran over-the-air transmitters. The service has since operated as part of Bell Media's CTV Two chain of stations. Public radio station CKUA in Alberta was also formerly operated by Access, before being sold to the non-profit CKUA Radio Foundation which continues to operate it as a community-funded radio network. CJRT-FM in Toronto also operated as a public government-owned radio station for many years; while no longer funded by the provincial government, it still solicits most of its budget from listener and corporate donations and is permitted to air only a very small amount of commercial advertising. City Saskatchewan originated as the Saskatchewan Communications Network, a cable-only educational and cultural public broadcaster owned by the government of Saskatchewan. SCN was sold to Bluepoint Investment Corporation in 2010, and like CTV Two Alberta did when it became privatized, incorporated a limited schedule of entertainment programming during the late afternoon and nighttime hours, while retaining educational and children's programs during the morning until mid-afternoon to fulfill its licensing conditions; Bluepoint later sold the channel to Rogers Media in 2012, expanding a relationship it began with SCN in January of that year, when Rogers began supplying entertainment programming to the channel through an affiliation agreement with its English-language broadcast network, Citytv. One television station, CFTU in Montreal, operates as an educational station owned by CANAL (French: Corporation pour l'Avancement de Nouvelles Applications des Langages Ltée, lit. 'Corporation for the Advancement of New Language Applications Ltd.'), a private not-for-profit consortium of educational institutions in the province of Quebec. Some local community stations also operate non-commercially with funding from corporate and individual donors. In addition, cable companies are required to produce a local community channel in each licensed market. Such channels have traditionally aired community talk shows, city council meetings and other locally oriented programming, although it is becoming increasingly common for them to adopt the format and branding of a local news channel. Canada also has a large number of campus radio and community radio stations. Colombia had between 1955 and 1998 a public television system very similar to that adopted by the NPO in the Netherlands, where private television producers called "programadoras" were given hours on the country's two public television channels (Cadena Uno and Canal A). In 1998, when the Colombian government allowed the opening of television to the private market by granting two broadcast licenses to the programadoras Caracol Televisión and RCN Televisión, these television producers went into crisis, causing many to end their activities or produce content for the private television channels. Currently, Colombia has three public channels (one is operated by a private company formed by the shares of four former programadoras) and eight public radio stations (three stations are regional broadcasters). Chilean television was founded through universities, in an attempt to bring public television without the state having to pay directly and control content. The University of Chile (owner of the former Channels 9 and 11 until 1993), the Catholic University of Chile on channels 2 and 13 until 2010, and the Pontifical Catholic University of Valparaíso on channels 8 and 4. Channel 8, in Valparaíso, is the first and oldest station on Chile, transmitting since October 5, 1957. As soon as 1961 universities began transmitting advertisements between their programs, the first of them being the channel 9, showing a Motorola TV set. This kind of disguised advertising took the name of "Payola". This situation, added to the fact that TV was only reaching Santiago and Valparaíso, led to the creation of a state network that should serve the whole country. This network, created in 1964 and in operation since October 24, 1969, is known as "Televisión Nacional de Chile". After the military government of Augusto Pinochet, television was mostly deregulated. Thus, two new commercial channels were born: Megavisión (Channel 9, on October 23, 1990) and La Red (Channel 4, on May 12, 1991). The University of Chile's channel 11 also was rented to a private operator on October 1, 1993 and is today known today as "Chilevisión". Televisión Nacional, popularly known as channel 7 because of its Santiago frequency, is governed by a seven-member board appointed by both the President and the Senate. It is meant to be independent of political pressures, although accusations of bias have been made, especially during election campaigns. Ecuador TV is the public service channel of Ecuador, established in October 2007. The channel was established at the same time as the installation of the Ecuadorian Constituent Assembly so that the sessions could be transmitted live to all the country. The Gregory Hall on the campus of University of Illinois at Urbana–Champaign hosted an important meeting of the National Association of Educational Broadcasters in the 1940s, that spawned both PBS and NPR. 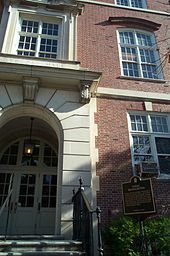 Early public stations were operated by state colleges and universities, and were often run as part of the schools' cooperative extension services. Stations in this era were internally funded, and did not rely on listener contributions to operate; some accepted advertising. Networks such as Iowa Public Radio, South Dakota Public Radio, and Wisconsin Public Radio began under this structure. The concept of a "non-commercial, educational" station per se did not show up in U.S. law until 1941, when the FM band was moved to its present location; the Federal Communications Commission (FCC) reserved the lower frequencies of the band – between 88.1 and 91.9 MHz – for such stations, though they are not limited to those frequencies (for example, WFIU in Bloomington, Indiana has its FM frequency at 103.7 MHz). Houston's KUHT was the nation's first public television station, and signed on the air on May 25, 1953 from the campus of the University of Houston. This phenomenon continued in other large cities in the 1950s; in rural areas, it was not uncommon for colleges to operate commercial stations instead (e.g., the University of Missouri's KOMU, an NBC-affiliated television station in Columbia). The FCC had reserved almost 250 broadcast frequencies for use as educational television stations in 1953, though by 1960, only 44 stations allocated for educational use had begun operations. The passage of the Public Broadcasting Act of 1967 – which was signed by President Lyndon B. Johnson, and was modeled in part after a 1965 study on educational television by the Carnegie Corporation of New York – precipitated the development of the current public broadcasting system in the U.S. The legislation established the Corporation for Public Broadcasting (CPB), a private entity that is charged with facilitating programming diversity among public broadcasters, the development and expansion of non-commercial broadcasting, and providing funding to local stations to help them create programs; the CPB receives funding earmarked by the federal government as well as through public and private donations. While the intention of the act was to develop public television and radio, a revision of the bill had removed all mention of radio from the original text; Michigan Senator Robert Griffin suggested changing the name of what was to be called the Public Television Act, and last-minute changes were subsequently made to the bill (with references incorporating radio into the bill being re-added with Scotch Tape) before the law was passed by Congress and signed by Johnson. In the United States, other than a few direct services, public broadcasting is almost entirely decentralized and is not operated by the government, but does receive some government support. The U.S. public broadcasting system differs from such systems in other countries, in that the principal public television and radio broadcasters – the Public Broadcasting Service (PBS) and National Public Radio (NPR), respectively – operate as technically separate entities. Some of the funding comes from community support to hundreds of public radio and public television stations, each of which is an individual entity licensed to one of several different non-profit organizations, municipal or state governments, or universities. Sources of funding also include on-air and online pledge drives and the sale of underwriting "spots" (typically running 15–30 seconds) to sponsors. Individual stations and programs rely on highly varied proportions of funding. Program-by-program funding creates the potential for conflict-of-interest situations, which must be weighed program by program under standards such as the guidelines established by PBS. Donations are widely dispersed to stations and producers, giving the system a resilience and broad base of support but diffusing authority and impeding decisive change and priority-setting. U.S. federal government support for public radio and television is filtered through the Corporation for Public Broadcasting, which operates as a separate organization. Public broadcasting is sometimes also referred to as public media, in an effort to capture the expansion of public broadcasting content from radio and television into digital technologies, in particular the web and mobile platforms. While some consider public media to be analogous to public broadcasting, others use the term more broadly to include all noncommercial media. Public radio and television stations often produce their own programs as well as purchase additional programming from national producers and program distributors such as NPR, PBS, Public Radio International (PRI), American Public Television (APT), American Public Media (APM), and Public Radio Exchange (PRX). Public television and radio in the U.S. has, from the late 1960s onward, dealt with severe criticism from conservative politicians and think-tanks (such as The Heritage Foundation), which allege that its programming has a leftist bias. Partly because of this belief, although it accounts for only a small fraction of government spending overall, some conservatives (including Presidents Richard Nixon, Ronald Reagan, George W. Bush and Donald Trump, and former Speaker of the House Newt Gingrich) have made various efforts to defund or privatize the Corporation for Public Broadcasting through federal budget legislation. Support for continuing CPB funding by liberals, independents and many conservatives in Congress has led to many of these efforts being defeated at the federal level, although there have been successful attempts to reduce – though not eliminate – funding for public television stations by some state legislatures. Arts advocates and media observers opposed to defunding the CPB argue that PBS provides educational and arts programming that have limited availability on American television, even as the advents of cable television and online streaming have led to the development of similar content, including to viewers in rural areas where educational funding is even lower than that of urbanized areas and do not have access to arts education. Previous estimates by the Corporation for Public Broadcasting have illustrated that removing federal funding to the CPB would severely hamstring rural PBS, NPR and independent public broadcasting stations, and may result in the gradual collapse of the public broadcasting system. Comprehensive studies by the Government Accountability Office and other organizations have concluded that private financing would not be universally available to public television and radio stations in less densely populated areas to sufficiently replace taxpayer funding that makes up 40% to 50% of the annual budgets of some stations, and ensure universal access to public broadcasting services. In the United States, the Public Broadcasting Service (PBS) serves as the nation's main public television provider. When it launched in October 1970, PBS assumed many of the functions of its predecessor, National Educational Television (NET). NET was shut down by the Ford Foundation and the Corporation for Public Broadcasting after the network refused to stop airing documentaries on varying social issues that had received critical acclaim for their hard-hitting focus, but alienated many of the network's affiliates. NET's constant need for additional funding led the Ford Foundation to begin withdrawing its financial support of the network in 1966, shouldering much of the responsibility for providing revenue for NET onto its affiliated stations, prior to the foundation of the CPB, which intended to create its own public television service. PBS' incorporation coincided with the merger of NET's New York City station, Newark, New Jersey-licensed WNDT (which became WNET), into National Educational Television, the impetus of which was to continue receiving funding by Ford and the CPB. PBS also took over the rights to certain programs that originated on NET prior to its disestablishment (such as Mister Rogers' Neighborhood, Washington Week in Review and Sesame Street, the latter two of which continue to air on PBS to this day). PBS would later acquire Educational Television Stations, an organization founded by the National Association of Educational Broadcasters (NAEB), in 1973. PBS and American Public Television (formerly Eastern Educational Television Network) distribute television programs to a nationwide system of independently owned and operated television stations (some having the term "PBS" in their branding) supported largely by state and federal governments as well as viewer support (including from pledge drives that many public television outlets carry for two- to three-week periods at least twice per year, at dates that vary depending on the station or regional network), with commercial underwriters donating to specific programs and receiving a short thanks for their contributions. Such underwriting may only issue declarative statements (including slogans) and may not include "calls to action" (i.e., the station cannot give out prices, comparative statements, or anything that would persuade the listener to patronize the sponsor). The majority of public television stations are owned by educational institutions and independent entities (including colleges and universities, municipal education boards, and nonprofit organizations); however, some statewide public television networks are operated as state government agencies, and some standalone public television stations serving an individual market are run by a municipal government or a related agency within it. Unlike National Public Radio, however, PBS largely does not produce any of the programs it broadcasts nor has an in-house news division; all PBS programs are produced by individual member stations and outside production firms for distribution to its member stations through the network feed. With the exception of a few secondary or tertiary stations in certain major and mid-sized cities that rely entirely on syndicated content from American Public Television and other distributors, the vast majority of public television stations in the U.S. are member outlets of PBS. Of the 354 PBS members currently operating as of 2017[update] (which account for 97% of the 365 public television stations in the U.S.), roughly half belong to one of 40 state or regional networks, which carry programming fed by a parent station to a network of satellite transmitters throughout the entirety or a sub-region of an individual state; this model is also used by some public radio station groups (mainly those co-owned with a PBS member network). In a deviation from the affiliation model that began to emerge in commercial broadcast television in the late 1950s, in which a single station holds the exclusive local rights to a network's programming schedule, PBS maintains memberships with more than one non-commercial educational station in select markets (such as Los Angeles and Chicago, which both have three PBS member stations); in these conflict markets, PBS members which participate in the service's Program Differentiation Plan (PDP) are allocated a percentage of PBS-distributed programming for their weekly schedule – the highest total of which is usually allocated to the market's "primary" PBS station – often resulting certain programs airing on the PDP outlets on a delayed basis, unless the primary or an additional member station holds market exclusivity over a particular program. As with commercial network affiliates, PBS member stations are given the latitude to schedule programs supplied by PBS for national broadcast in time slots of their choosing, particularly in the case of its prime time lineup, or preempt them outright. PBS stations typically broadcast children's programming supplied by the service and through independent distributors like American Public Television during the morning and afternoon hours, and on many though not all stations, on weekend mornings; most public independent stations also carry children's programming, though, they may not as broadly encompass those stations' daytime schedules as is common with PBS member outlets. Many member stations have also aired distance education and other instructional television programs for use in public and private schools and adult education courses (since the 2000s, many public television stations have relegated these programs to digital subchannels that the station may maintain or exclusively via the Internet). PBS also provides a base prime time programming schedule, featuring a mix of documentaries, arts and how-to programming, and scripted dramas. Acquired programming distributed directly to public television stations – such as imported series, documentaries and theatrically released feature films, political and current affairs shows, and home improvement, gardening and cooking programs – fill the remainder of the station's broadcast day. PBS and public independent stations also produce programs of local interest, including local newscasts and/or newsmagazines, public affairs shows, documentaries, and in some areas, gavel-to-gavel coverage of state legislative proceedings. With the advent of digital television, additional public television networks – most of which have direct or indirect association with PBS – have also launched, to provide additional cultural, entertainment and instructional programming. PBS operates three such networks: PBS Kids, a network featuring children's programs aired on the main PBS feed's daytime schedule; PBS HD Channel, a dedicated feed consisting of high-definition content; and the PBS Satellite Service, a full-time alternate feed of programming selected from the main PBS service, which is also carried on some member stations as an overnight programming feed. Independent services include Create, an American Public Television-operated network featuring how-to, home and garden, cooking and travel programs; MHz Worldview, a network owned by MHz Networks, which carries international dramatic series (particularly crime drama), news programs and documentaries; and World, a joint venture of American Public Television, WNET, the WGBH Educational Foundation and the National Educational Telecommunications Association that broadcasts science, nature, news, public affairs and documentary programs. Most communities also have public-access television channels on local cable television systems, which are generally paid for by cable television franchise fees and sometimes supported in part through citizen donations. The U.S. government produces one channel for domestic citizen consumption: NASA TV, a suite of channels covering the country's space program and a collection of science education programs. Until shutdown operations in 2014, the U.S. government – through an arm of the United States Department of Defense – also operated the DoD News Channel, which distributed news regarding the country's military operations. NASA TV and the DoD News channel were distributed solely by satellite and the Internet, and thus do not have the extensive reach of other countries' national broadcasters. The first public radio network in the United States was founded in 1949 in Berkeley, California as station KPFA, which became and remains the flagship station for a national network called Pacifica Radio. From the beginning, the network has refused corporate funding of any kind, and has relied mainly on listener support. KPFA gave away free FM radios to build a listener base and to encourage listeners to "subscribe" (support the station directly with donations). It is the world's oldest listener-supported radio network. Since the creation of the Corporation for Public Broadcasting, Pacifica has sometimes received CPB support. Pacifica runs other stations in Los Angeles, New York City, Washington, DC. and Houston, as well as repeater stations and a large network of affiliates. A public radio network, National Public Radio (NPR), was created in February 1970, as byproduct of the passage of the Public Broadcasting Act of 1967. This network – which replaced the Ford Foundation-backed National Educational Radio Network – is colloquially though inaccurately conflated with public radio as a whole, when in fact "public radio" includes many organizations. Some independent local public radio stations buy their programming from distributors such as NPR; Public Radio International (PRI); American Public Media (APM); Public Radio Exchange (PRX); and Pacifica Radio, most often distributed through the Public Radio Satellite System (PRSS). Around these distributed programs, stations fill in varying amounts of local and other programming. A number of public stations are completely independent of these programming services, producing all or most of their content themselves. Public radio stations in the United States tend to broadcast a mixture of news and talk programs along with music and arts/cultural programming. Some of the larger operations split off these formats into separate stations or networks. Music stations are probably best known for playing classical music, although other formats are offered, including the time-honored "eclectic" music format that is rather freeform in nature common among college radio stations. Jazz is another traditional, but declining, public radio programming staple. Cultural Native American and Mexican American music and programming are also featured regionally. The U.S. government operates some limited direct broadcasting services, but all are either highly specialized (and, since the dawn of the millennium, automated) information services (WWV/WWVH time service, NOAA Weather Radio) or targeted at foreign audiences like Voice of America. From 1948 to 2013, foreign-targeted broadcasts, many of which were intended as propaganda, were barred from U.S. audiences because of the Smith–Mundt Act, a restriction that has since been lifted. While NOAA Weather Radio has individual terrestrial repeaters across the United States (albeit on a special band reserved for such broadcasts), WWV, VOA and others operate from single shortwave facilities; none of these services can be heard on the AM or FM bands most common on U.S. radio. In early 2016, KIOF-LP (97.9 FM) in Las Vegas, Nevada began airing VOA News hourly, and is the only known public radio station in the United States to broadcast the VOA news service since the Smith–Mundt Act restrictions were lifted. Local stations derive some of the funding for their operations through regular pledge drives seeking individual and corporate donations, and corporate underwriting. Some stations also derive a portion of their funding from federal, state and local governments and government-funded colleges and universities, in addition to receiving free use of the public radio spectrum. The local stations then contract with program distributors and also provide some programming themselves. NPR produces its own programming (PBS, by contrast, does not create its own content, which is instead produced by select member stations and independent program distributors). NPR also receives some direct funding from private donors, foundations, and from the Corporation for Public Broadcasting. Recently, under the initiative of the Venezuelan government of president Hugo Chávez, and with the sponsorship of the governments of Argentina, Bolivia, Cuba, Ecuador and Nicaragua, the news and documentary network teleSUR was created with the intended to be an instrument toward the "concretizing of the Bolivarian idea" through the integration of America, and as a counterweight to what the governments that funds it consider a "distorted view of Latin American reality by privately run networks that broadcast to the region". There is an ongoing debate on whether teleSUR will be able become a neutral and fair news channel able to counter the huge influence of global media outlets, or whether it will end up as a propaganda tool of the Venezuelan government, which owns a 51 percent share of said channel. Uruguay has a strong history of public broadcasting in South America. Inaugurated in 1963, Televisión Nacional Uruguay (TNU) is now linked to the Ministry of Education and Culture of the country. In addition, the Radiodifusión Nacional de Uruguay is a network of radios with 4 different stations in AM and FM that cover the whole country. Radio Television Afghanistan (RTA) is the public broadcaster of Afghanistan and dates back to 1925. The Bengali primary state television broadcaster is Bangladesh Television which also broadcasts worldwide through its satellite based branch, BTV World. There are also terrestrial state run TV channels: Sangsad TV owned and operated by Bengali parliament that covers the proceedings of the Parliament. The Bangladesh Betar (BB) is the country's sole state radio broadcaster. Radio transmission in the region now forming Bangladesh started in Dhaka on December 16, 1939. The Ministry of Information is responsible for the administration of all government TV channels and Radio. The television frequencies are using the VHF and UHF. The public radio frequencies are between 76 and 108 MHz. In Hong Kong, the Radio Television Hong Kong (RTHK) is the sole public service broadcaster. Although a government department under administrative hierarchy, it enjoys editorial independence. It operates seven radio channels, and produces television programmes and broadcast on commercial television channels, as these channels are required by law to provide time slot for RTHK television programmes. RTHK would be assigned a digital terrestrial television channel within 2013 to 2015. In India, Prasar Bharati is India's public broadcaster. However it does have commercial advertising on it. It is an autonomous corporation of the Ministry of Information and Broadcasting (India), Government of India and comprises the Doordarshan television network and All India Radio. Prasar Bharati was established on 23 November 1997, following a demand that the government owned broadcasters in India should be given autonomy like those in many other countries. The Parliament of India passed an Act to grant this autonomy in 1990, but it was not enacted until 15 September 1997. In Israel, the Israeli Broadcasting Authority was the country's main public broadcasting service until 2017. As of May 15, 2017, it was replaced by KAN (Hebrew for "here"), the Israeli Public Broadcasting Corporation. In Arabic, the IPBC is known by the name MAKAN (Arabic for "place"). In addition, the ministry of education owns the Israeli Educational Television, known as Hinuchit, the first Israeli television channel. It was created by the Rothschild fund to aid the ministry's work in teaching children from kindergarten to high school and to promote the television's use in Israel at a time the government considered the device a "cultural decadence". It is funded and operated by the ministry, and since the 1980s it has widened its orientation to adults as well as children. In August 2018, the Educational Television will be shut down and replaced by KAN Hinuchit. In Japan, the main public broadcaster is the NHK (Japan Broadcasting Corporation). The broadcaster was set up in 1926 and was modelled on the British Broadcasting Company, the precursor to the British Broadcasting Corporation created in 1927. Much like the BBC, NHK is funded by a "receiving fee" from every Japanese household, with no commercial advertising and the maintenance of a position of strict political impartiality. However, rampant non-payment by a large amount of households has led the receiving fee to become something of a political issue. NHK runs two national terrestrial TV stations (NHK General and NHK Educational) and two satellite only services (NHK BS1 and NHK BS Premium services). NHK also runs 3 national radio services and a number of international radio and television services, akin to the BBC World Service. NHK has also been an innovator in television, developing the world's first high definition television technology in 1964 and launching high definition services in Japan in 1981. 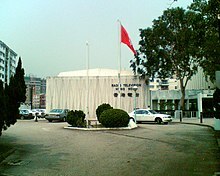 In Macau, Teledifusão de Macau TDM is the public service broadcasting company. The firm was established in January 1982 and was modelled on Rádio e Televisão de Portugal RTP. TDM has two independent editorial arms: the Chinese news channel and the Portuguese news channel, each of which may have different information sources, points of view, and priorities of news. TDM runs both television and radio services. The public broadcaster in Malaysia is the state-owned Radio Televisyen Malaysia (RTM). RTM was previously funded publicly through money obtained from television licensing, however it is currently state-subsidised, as television licences have been abolished. As of 2017[update] RTM operates 8 national, 16 state and 7 district radio stations as well as 2 national terrestrial television channels called TV1 and TV2. RTM has also done test transmissions on a new digital television channel called RTMi. Tests involving 2000 residential homes in the Klang Valley began in September 2006 and ended in March 2007. History of public broadcasting in Nepal started from 1951. In Pakistan, the public broadcasters are the state-owned Pakistan Broadcasting Corporation (PBC), also known as Radio Pakistan and Pakistan Television. In the past Radio Pakistan was partly funded through money obtained from License fees. In 1999, the Nawaz Sharif government abolished license fees for Radio Pakistan and also abolished its tax exempt status protected under PBC Act 1973. The license fees for Pakistan Television continued. The license fees collection for PTV was given to WAPDA during Musharraf government. Currently WAPDA collects Rs. 35 per house hold on electricity bills as PTV license fees. Television Broadcasting started in Pakistan with a small pilot TV Station established at Lahore Radio from where transmission was first beamed in Black & White with effect from 26 November 1964. Television centres were established in Dhaka, Karachi and Rawalpindi/Islamabad in 1967 and in Peshawar and Quetta in 1974. PTV has various channels transmitting throughout the world including PTV National, PTV World, PTV 2, PTV Global, PTV Bolan etc. Radio Pakistan has stations covering all the major cities, it covers 80% of the country serving 95.5 Million listeners. It has world service in eleven languages daily. The Philippines' primary state television broadcaster is People's Television Network (PTV). Created in 1974 as Government Television (GTV), PTV is no longer state subsidised except for a one-time equity funding for capital outlay in 1992. Aside from PTV, the other public broadcaster is the Intercontinental Broadcasting Corporation (IBC), which the government has already put up for sale. The government no longer holds a controlling interest in the former state broadcaster, Radio Philippines Network (RPN). The Philippine Broadcasting Service (PBS) is the country's sole state radio broadcaster. Established in 1933 as KZFM by the American colonial Insular Government, the radio station was passed to the Philippine government after the country became independent in 1946. Currently, PBS broadcasts its flagship network Radyo Pilipinas (formerly Radyo ng Bayan) thru its 32 stations and selected affiliates nationwide. The government is currently planning to propose the creation of a law that will merge and integrate PTV and PBS into a single entity, to be called the People's Broadcasting Corporation (PBC). Qatar's public service broadcasting includes Qatar Television which focuses on local affairs, and Al Jazeera which appeals to a pan-Arab audience in its Arabic broadcasting and to a wider international audience with its English Channel broadcast. South Korea's representative public broadcasting television network is said to be Korean Broadcasting System, or KBS. Originally a government-controlled channel, it is now an independent broadcasting system. KBS began broadcasting radio in 1947 and opened up to television industry in 1961, and officially founded its own identity by 1973. Another public broadcasting channel is the Munhwa Broadcasting Corporation, or MBC. Known to be the second channel of the country, it also shares the roles of being national television with the KBS. South Korea also has another public broadcasting channel called Educational Broadcasting System, or EBS. Originally considered to be an extension channel of the KBS, it was spun-off as an educational channel but retained its public broadcasting tasks. KBS and EBS mainly are funded by the commercials that they provide in their channels, but due to growing competitions, this is becoming a problem for them as well. Public Television Service, also called Taiwan Public Television Service Foundation, is the first independent public broadcasting institution in Taiwan, which broadcasts the Public Television Service Taiwan. Since its creation in 1998, PTS has produced several critically acclaimed dramatic programs and mini-series despite experiencing funding difficulties. PTS is bound up in speaking for the minorities, including the promotion of Hakka Chinese and Formosan-language programming, an effort that has contributed much to the "Taiwanization" movement. In most countries in Europe, state broadcasters are funded through a mix of advertising and public finance, either through a licence fee or directly from the government. Radio Televizioni Shqiptar (RTSH) is the public broadcaster in Albania. Televizioni Shqiptar (TVSH) is the name of the first public channel of Albania. The domestic TV program is distributed analogically throughout the country and digitally in Tirana through RTSH HD. TVSH 2 is the second public TV channel dedicated mainly to sports and live events launched in 2003. RTSH HD a digital channel launched in 2012 broadcasts TVSH shows in high-definition quality. TVSH Sat, is the international version of the domestic program broadcast to Europe free to air via satellite. ORF (Österreichischer Rundfunk) is the public broadcaster in Austria. Despite the fact that private broadcasting companies were allowed in Austria in the late 1990s, ORF is still the key player in the field. It has three nationwide radio channels (Ö1, Ö3, FM4), nine regional ones (one for each Bundesland). Its TV portfolio includes two general interest channels (ORF 1 and ORF 2), one cultural-instructional channel (ORF III), one Europe-wide version of ORF 2 and a sports channel (ORF Sport +). ORF also takes part in the German-language satellite TV network 3sat. RTBF, French-language, with 4 TV channels (La Une, La Deux, La Trois and Arte Belgique) and 6 radios. VRT, Dutch-language, with 3 TV channels and 10 radios. BRF, German-language, with 1 TV channel and 2 radios. Originally named INR—Institut national belge de radiodiffusion (Dutch: NIR—Belgisch Nationaal Instituut voor de Radio-omroep)—the state-owned broadcasting organization was established by law on 18 June 1930. Television broadcasting from Brussels began in 1953, with two hours of programming each day. In 1960 the INR was subsumed into RTB (French: Radio-Télévision Belge) and BRT (Dutch: Belgische Radio- en Televisieomroep). On 1 October 1945 INR-NIR began to broadcast some programmes in German. In 1961 RTB-BRT began a German-language radio channel, broadcasting from Liège. In 1977, following Belgian federalization and the establishment of separate language communities, the French-language section of RTB-BRT became RTBF (French: Radio-Télévision Belge de la Communauté française), German-language section became BRF (German: Belgischer Rundfunk) and Dutch-language stays BRT. BRT was renamed in 1991 to BRTN (Dutch: Belgische Radio- en Televisieomroep Nederlandstalige Uitzendingen) and again in 1998 to VRT (Dutch: Vlaamse Radio- en Televisieomroeporganisatie). There are two public media in Bulgaria - the Bulgarian National Television (BNT) and the Bulgarian National Radio (BNR). Bulgarian National Television was founded in 1959 and the Bulgarian National Radio was founded in 1935. BNT broadcasts 4 national programs (BNT 1, BNT 2, BNT HD, BNT World). The BNR broadcasts 2 national programs (Horizont and Hristo Botev Program), 9 regional programs and Internet Radio Binar. Croatian Radiotelevision (Croatian: Hrvatska radiotelevizija, HRT) is a Croatian public broadcasting company. It operates several radio and television channels, over a domestic transmitter network as well as satellite. As of 2002[update], 70% of HRT's funding comes from broadcast user fees with each house in Croatia required to pay 79 HRK, kuna, per month for a single television (radio device, computer or smartphone), with the remainder being made up from advertising. Czech Television and Czech Radio are national public broadcasting companies in the Czech Republic. Czech Television broadcasts from three studios in Prague, Brno and Ostrava and operates six TV channels ČT1, ČT2, ČT24, ČTSport, ČT :D and ČT Art. Czech television is funded through a monthly fee of 135 CZK which every household that owns a TV or a radio has to pay. Since October 2011 advertising on Czech TV was restricted from four to two channels, namely ČT2 and ČTSport. Czech Radio broadcasts four nationwide stations Radiožurnál, Dvojka, Vltava and Plus, several regional and specialised digital stations. Czech Radio 7 – Radio Prague broadcasts abroad in six languages. Czech Radio is funded through a monthly fee of 45 CZK. In the Czech Republic, there is also Czech News Agency (ČTK), a public corporation established by law. The state is not responsible for any ČTK obligations and ČTK is not responsible for any state obligations. DR is the national public service broadcaster. The organisation was founded in 1925, on principles similar to those of the BBC in the United Kingdom. DR runs six nationwide television channels and eight radio channels. Financing comes primarily from a yearly licence fee, that everyone who owns either a television set, a computer or other devices that can access the internet, has to pay. A part of collected fees is also used to finance the network of regional public service stations operating under the brand of TV 2. TV 2 itself, however, is a commercial government-owned television funded by subscriptions and advertising, with particular public service duties such as allowing regional stations to air their newscasts within specific timeslots of the main TV 2 channel. Kringvarp Føroya is the organisation in Faroe Islands with public service obligations. Formed in 1957 as a radio broadcaster Útvarp Føroya. Merged with Sjónvarp Føroya TV station on 1 January 2007 to form Kringvarp Føroya. Funded by licence fees. Estonian Public Broadcasting (ERR) organises the public radio and television stations of Estonia. Eesti Televisioon (ETV), the public television station, made its first broadcast in 1955, and together with its sister channel ETV2 has about 20% audience share. The Finnish Broadcasting Company, or Yleisradio (in Finnish) and Rundradion (in Swedish), abbreviated to Yle (pronounced /yle/), is Finland's national public-broadcasting company. Founded in 1926, it is a public limited company majority owned by the Finnish state, employing around 3,200 people. In 1949 Radiodiffusion-Télévision Française (RTF – French television and radio broadcasting) was created to take over from the earlier Radiodiffusion Française responsibility for the operation of the country's three public radio networks and the introduction of a public television service. A fourth radio network was added in 1954 and a second television channel in 1963. RTF was transformed into the Office de Radiodiffusion-Télévision Française (ORTF), a more independent structure, in 1964. ORTF oversaw the birth of a third television channel in 1972, two years before the dissolution of the structure in 1974. Between this date and 2000, each channel had its own direction structure. The first channel (TF1) was sold to the private sector in 1987. (At the time, the channel with the largest audience was the other public channel Antenne 2). In 1986 a French/German public channel was created, ARTE, originally broadcast on cable and satellite. Later, the fall of the private channel La Cinq freed some frequencies that it had used each day after 19.00. In 1994 a new public channel, La cinquième was created to use the remaining time on the same frequencies. La cinquième and ARTE subsequently shared the same channels with the exception of satellite, cable, and internet channels where both could be broadcast all day long. In 2000 all the public channels were united into one structure, France Télévisions. After World War II, when regional broadcasters had been merged into one national network by the Nazis to create a powerful means of propaganda, the Allies insisted on a de-centralised, independent structure for German public broadcasting and created regional public broadcasting agencies that, by and large, still exist today. In addition to these nine regional radio and TV broadcasters, which cooperate within ARD, a second national television service—actually called Second German Television (German: Zweites Deutsches Fernsehen, ZDF)—was later created in 1961 and a national radio service with two networks (Deutschlandradio) emerged from the remains of Cold War propaganda stations in 1994. All services are mainly financed through licence fees paid by every household and are governed by councils of representatives of the "societally relevant groups". Public TV and radio stations spend about 60% of the ≈10bn € spent altogether for broadcasting in Germany per year, making it the most expensive public broadcasting system in the world. The Hans-Bredow-Institut, or Hans-Bredow-Institute for Media Research at the University of Hamburg (HBI) is an independent non-profit foundation with the mission on media research on public communication, particularly for radio and television broadcasting (including public service media providers) and other electronic media, in an interdisciplinary fashion. In Germany foreign public broadcasters also exist. These are AFN for US-military staff in Germany, BFBS for British military staff, Voice of Russia, RFE and Radio Liberty. Hellenic Broadcasting Corporation (Greek: Ελληνική Ραδιοφωνία Τηλεόραση ή ERT) is the state-owned public broadcaster in Greece. It broadcasts four television channels, ERT1, ERT2, ERT3, ERT HD, as well as five national (ERA 1, ERA 2, ERA 3, Kosmos, ERA Sport), and 21 local radio stations. All national television and radio stations are broadcast through ERT digital multiplexes across the country. Magyar Televízió (MTV) and Magyar Rádió (MR, also known internationally as Radio Budapest) is a nationwide public broadcasting organization in Hungary. Headquartered in Budapest, it is the oldest broadcaster in Hungary and airs five TV channels (M1 HD, M2 HD, M3, M4 Sport and M5), and six Radio networks(Kossuth Rádió, Petőfi Rádió, Bartók Rádió, Dankó Rádió, Nemzetiségi Adások and Parlamenti adások) as well. Both MTV And MR is managed and primarily funded by the Media Service Support and Asset Management Fund (Hungarian: Médiaszolgáltatás-támogató és Vagyonkezelő Alap, abbreviated MTVA). This government organization, formed in 2011, also manages the public service broadcasters Duna Televízió as well as the Hungarian news agency Magyar Távirati Iroda. On 1 July 2015, Magyar Rádió and Magyar Televízió were among several public media organizations managed by the MTVA that were merged into a single organization called Duna Media Service (Hungarian: Duna Médiaszolgáltató). This organization is the legal successor to Magyar Rádió and Magyar Televízió and is an active member of the European Broadcasting Union. like some Countries, Hungary has another public broadcaster called Duna (which was named after a river), which airs two TV channels(Duna TV (as of 2015, It broadcasts former M1 prgrammes as M1 became the 24-hour News Channel), Duna World (which acts as its sister broadcaster's international channel)), and only one radio network called Duna Világrádió. Ríkisútvarpið (RÚV) ("The Icelandic National Broadcasting Service") is Iceland's national public-service broadcasting organisation. RÚV began radio broadcasting in 1930 and its first television transmissions were made in 1966. In both cases coverage quickly reached nearly every household in Iceland. RÚV is funded by a television licence fee collected from every income taxpayer, as well as advertising revenue. RÚV has been a full active member of the European Broadcasting Union since 1956. RÚV—which by the terms of its charter is obliged to "promote the Icelandic language, Icelandic history, and Iceland's cultural heritage" and "honour basic democratic rules, human rights, and the freedom of speech and opinion"—carries a substantial amount of arts, media, and current affairs programming, in addition to which it also supplies general entertainment in the form of feature films and such internationally popular television drama series as Lost and Desperate Housewives. RÚV's lineup also includes sports coverage, documentaries, domestically produced entertainment shows, and children's programming. In Ireland there are two state owned public service broadcasters, RTÉ and TG4. RTÉ was established in 1960 with the merger of Raidió Éireann (1926) and Teilifís Éireann (1960). TG4 was formed as a subsidiary of RTÉ in 1996 as Teilifís na Gaeilge (TnaG), it was re-branded as TG4 in 1999, and was made independent of RTÉ in 2007. Both Irish public service broadcasters receive part of the licence fee, with RTÉ taking the lion's share of the funding. Advertising makes up 50% of RTÉ's income and just 6% of TG4's income. 7% of the licence fee is provided to the Broadcasting Authority of Ireland since 2006. Up to 2006 the licence fee was given entirely to RTÉ. RTÉ offers a range of free to air services on television; RTÉ 1, RTÉ 2, RTÉjr, and RTÉ News Now. On radio; RTÉ Radio 1, RTÉ 2FM, RTÉ Lyric FM, and RTÉ Raidió na Gaeltachta, as well as a number of channels on DAB. The Sound and Vision Fund is operated by the Broadcasting Authority of Ireland, this fund receives 7% of the licence fee. The fund is used to assist broadcasters to commission public service broadcast programming. It is open to all independent producers provided they get a free to air or community broadcaster's backing, including TV3, Today FM, BBC Northern Ireland, RTÉ, Channel 4, UTV etc. Pay TV broadcaster Setanta Sports have also received funding for programming through the sound and vision fund provided they provide those shows on a free-to-view basis. TG4 is an independent Irish language public service broadcaster that is funded by the government through subsidy, the licence fee and through advertising revenue. TV3 is the only independent broadcaster that has public service commitments. The Italian national broadcasting company is RAI – Radiotelevisione Italiana, founded as URI in 1924. RAI transmits thirteen channels: Rai 1, Rai 2, Rai 3, Rai 4, Rai 5, Rai News 24, Rai Premium, Rai Movie, Rai Sport, Rai Storia, Rai Gulp, Rai Yoyo, Rai Scuola (all available also in high definition). RAI also broadcasts via satellite and is involved in radio, publishing and cinema. RAI has the largest audience share (45%) of any Italian television network. Proceeds derive from a periodical standing charge (90 euros for each household in 2017) and from advertising. The main competitors of RAI are Mediaset, the biggest national private broadcaster, divided in twelve channels (two of which are both SD and HD), La7 and La7d, owned by Cairo Editore; other competitors are Sky Italia (with three FTA channels) and Discovery Italia (with seven FTA channels). Lithuanian National Radio and Television (LRT) is the national broadcaster of Lithuania. It was founded in 1926 as radio broadcaster, and opened a television broadcasting subdivision in 1957. LRT broadcasts three radio stations (LRT Radijas, LRT Klasika and LRT Opus), and four TV channels (LRT televizija, LRT Kultūra, LRT Lituanica and LRT HD). Public Broadcasting Services (PBS) is the national broadcaster of Malta. It operates three television services (TVM, TVM2, and Parliament TV) and three radio services (Radju Malta, Radju Malta 2, and Magic Malta). Teleradio-Moldova (TRM) is the public funded radio-TV broadcaster in Moldova. It owns the TV channels Moldova 1 and TVMI, and the radio channels Radio Moldova and Radio Moldova Internaţional. RTCG (Radio Television of Montenegro) is the public broadcaster in Montenegro. The Netherlands uses a rather unusual system of public broadcasting. Public-broadcasting associations are allocated money and time to broadcast their programmes on the publicly owned television and radio channels. The time and money is allocated in proportion to their membership numbers. The system is intended to reflect the diversity of all the groups composing the nation. The public broadcasters are Telewizja Polska (TVP) television and Polskie Radio. TVP operates three main channels: TVP 1, TVP 2 and TVP Regionalna. It also broadcasts several digital channels (including TVP 1, TVP1 HD, TVP 2, TVP2 HD, TVP Info, TVP Kultura, TVP Historia, TVP HD, TVP Polonia, TVP Sport, TVP Seriale) via satellite and digital terrestrial television system, and 16 regional affiliates (known as TVP Regionalna, regional channels cooperate when creating most of materials). TVP also runs services with news, a video streaming (video on demand) service as well as live streaming of all its channels. Polskie Radio operates four nationwide radio channels (which are also available via the broadcaster's website). There are also 17 state-owned radio stations broadcasting in particular regions. TVP and Polish Radio are funded from several sources: state funding, advertising, obligatory tax on all TV and radio receivers, and money from authors/copyright associations. The public broadcasters offer a mix of commercial shows and programmes they are, by law, required to broadcast (i.e., non-commercial, niche programmes; programmes for children; programmes promoting different points of view and diversity; programmes for different religious and national groups; live coverage of the parliament's session on its dedicated channel: TVP Parlament; etc.). It has to be politically neutral, although in the past there have been cases of political pressure on TVP and Polskie Radio from the governing party. Recently, a new law has been passed by the ruling Law & Justice party, that in public perception allowed the party to take a much larger control over the media that has been possible before. The party states this law to be the first step to a complete public media overdo. Many worry no such improvements are actually coming and that these recent laws are only another step in taking control over the whole country by the Law & Justice party. There is an ongoing debate in Poland about the semi-commercial nature of TVP and PR. Many people fear that making them into totally non-commercial broadcasters would result in the licence fee payable by households being increased, and fewer people being interested in programmes they offer; others say that TVP in particular is too profit-driven and should concentrate on programming that benefits the society. In Portugal, the national public broadcaster is Rádio e Televisão de Portugal (RTP), which in 1957 began regular broadcasts of its first channel, now RTP1. In 1968 its second channel appeared, then called "segundo programa", now RTP2. In the 1970s, TV arrived in the Portuguese islands of Madeira and the Azores, with the creation of two regional channels: RTP Madeira in 1972 and RTP Açores in 1976. Until the 1990s the state had a monopoly on TV broadcasting, so RTP1 and RTP2 were the only Portuguese channels, both with similar generalist programmes. In 1990, RTP1 was renamed "Canal 1", and in 1992 RTP2 was renamed "TV2". With the creation of the two private channels, SIC in 1992 and Televisão Independente in 1993, the philosophy of the public service changed: in 1995, TV2 was again renamed RTP2 and became an alternative channel dedicated to culture, science, arts, documentaries, sports (except football), minorities and children. Since then, RTP2 has carried no advertising. Canal 1, renamed back RTP1 also in 1995, remained the commercial channel of RTP group, focused on entertainment, information and major sport competitions. In 2004, after a great restructuring period, RTP started its current branding. That year the two thematic channels of the group were also created—RTPN, a 24 hour-news channel which became RTP Informação in 2011 and RTP3 in 2015; and RTP Memória, dedicated to classic RTP programming. In 2014 the headquarters of RTP2 were transferred from Lisbon to Porto. The group also has two international channels: RTP Internacional, founded in 1992 and dedicated to Europe, Asia and Americas, and RTP África, founded in 1998 focused on Africa, mainly the CPLP countries of Angola, Cape Verde, Guinea-Bissau, Mozambique and São Tomé and Príncipe. The RTP group is financed by the advertising revenues from RTP1, RTP Informação, RTP Memória, RTP África, and RTP Internacional, and also by the taxa de contribuição audiovisual (broadcasting contribution tax), which is incorporated in electricity bills. Funding from the government budget ceased in 2014, during the Portuguese financial crisis. Romanian Television (TVR) is the national public TV broadcaster in Romania. It operates five channels: TVR1, TVR2, TVR3, TVRi, and TVR HD, along with six regional studios in Bucharest, Cluj-Napoca, Iași, Timișoara, Craiova, and Târgu Mureș. The public radio broadcaster is Romanian Radio Broadcasting Company (Radio Romania). It operates FM and AM, and internet national, regional, and local radio channels. The regional and local stations are branded as Radio România Regional. Broadcasting in 12 languages, Radio Romania International is the company's international radio station. TVR and Radio Romania are funded through a hybrid financing system, drawing from the state budget, a special tax (incorporated in electricity bills), and advertising too. National public broadcasters in The Nordic countries were modeled after the BBC and established a decade later: Radioordningen (now DR) in Denmark, Kringkastingselskapet (now NRK) in Norway, and Radiotjänst (now Sveriges Radio and Sveriges Television) in Sweden (all in 1925). In 1926 Yleisradio (Swedish: Rundradion) now Yle was founded in Finland. All four are funded from television licence fees costing (in 2007) around €230 (US$300) per household per year. Radio Television of Serbia (RTS) is the national public broadcaster in Serbia. It operates a total of five television channels (RTS1, RTS2, RTS Digital, RTS HD and RTS SAT) and five radio stations (Radio Belgrade 1, Radio Belgrade 2, Radio Belgrade 3, Radio Belgrade 202, and Stereorama). RTS is primarily funded through public television licence fees bundled with electricity bills paid monthly, as well as advertising. Radio and Television Slovakia (RTVS) is the national public broadcaster in Slovakia, with headquarters in Bratislava. This organisation was created in 2011 by merger of Slovak Television and Slovak Radio. RTVS broadcasts two television channels (STV1, STV2), five FM radio stations (Rádio Slovensko, Rádio Devín, Rádio Regina, Rádio_FM and Rádio Patria), one satellite radio channel (Radio Slovakia International) and three digital only radio stations (Rádio Klasika, Rádio Litera and Rádio Junior). RTVS is funded through monthly fee of €4.64, which every household with electricity connection must pay. The director of RTVS is Václav Mika. RTVS is a full member of European broadcasting union. In Spain, being a highly decentralised country, two public broadcasting systems coexist: a national broadcasting television, Radio y Televisión Española (RTVE), that can be watched all around Spain, and many autonomic TV channels, only broadcast within their respective Autonomous Community. Televisión Española was founded in 1956, during Franco's dictatorship. It broadcasts two different TV-channels: TVE1 (a.k.a. La Primera or La uno), that is a wide-range audience general channel; and TVE2, (a.k.a. La dos), that tends to offer cultural programing, as well as sport competitions. Till 2008, RTVE was funded both from public sources and private advertising; however, the Spanish government has recently decreed that, starting in September 2009, RTVE's channels shall be funded with taxpayer's money and with private founding raised from the rest of Spain's private TV stations, thus removing advertising from the broadcaster. A TV licence fee has been suggested, but with little popular success. Moreover, each of the autonomous communities of Spain have their own public broadcaster, all of them members of FORTA, usually consisting in either one or two public channels that tend to reproduce the model set up by Televisión Española: a general channel and a more cultural related one. In the Autonomous Communities that have their own official language besides Spanish, those channels may broadcast not in Spanish, but in the other co-official language. For example, this occurs in Catalonia, where Televisió de Catalunya broadcasts mainly in Catalan. In the Basque Country, Euskal Telebista (ETB) has three channels, two of which broadcast only in basque (ETB 1 and ETB 3), whereas the other (ETB 2) broadcasts in Spanish. In Galicia, the Television de Galicia and the G2. All the autonomic networks are publicly funded, and also admit private advertising. Sweden has three public service broadcasters, namely Sveriges Television (SVT), Sveriges Utbildningsradio (UR), and Sveriges Radio (SR), having previously had government monopoly. SVT is the national public television broadcaster with 4 channels (SVT 1, SVT 2, SVT Barnkanalen, and SVT 24). The aim is to make programs for everybody. For example, Sweden has the historic Sami minority and SVT make programs in their language for them to watch. There are also a Finnish minority in Sweden, thus SVT show news in Finnish on SVT Uutiset. SR is the radio equivalent of SVT, with channels P1, P2, P3, P4, P5, and the Finnish channel SR Sisuradio. The United Kingdom has a strong tradition of public service broadcasting. In addition to the BBC, established in 1922, there is also Channel 4, a publicly owned, commercially funded public service broadcaster, and S4C, a Welsh-language broadcaster in Wales. Furthermore, the two commercial broadcasters ITV and Channel 5 also have significant public service obligations imposed as part of their licence to broadcast. In the UK there are also small community broadcasters. There are now 228 stations with FM broadcast licences (licensed by Ofcom). Community radio stations typically cover a small geographical area with a coverage radius of up to 5 km and run on a nonprofit basis. They can cater for whole communities or for different areas of interest—such as a particular ethnic group, age group or interest group. Community radio stations reflect a diverse mix of cultures and interests. For example, you can listen to stations catering to urban or experimental music, while others are aimed at younger people, religious communities or the armed forces and their families. In Australia, the Australian Broadcasting Corporation (ABC) is owned by the Australian Government and is 100% taxpayer funded. The multicultural Special Broadcasting Service (SBS), another public broadcaster, now accepts limited sponsorship and advertising. In addition, there is a large Australian community radio sector, funded in part by federal grants via the Community Broadcasting Foundation, but largely sustained via subscriptions, donations and business sponsorship. As of June 2005, there were 442 fully licensed community radio stations and a number of community television stations (most operating as Channel 31 despite being unrelated across different states). They are organised similarly to PBS and NPR stations in the United States, and take on the role that public access television stations have in the US. In New Zealand all broadcasters are given a small slice of public broadcasting responsibility, because of the state-funded agency NZ On Air. This is because of NZ On Air's requirement for public-service programmes across all channels and stations, instead of being put into one single network. The former public broadcaster BCNZ (formerly NZBC – New Zealand Broadcasting Corporation) was broken up into separate state-owned corporations, Television New Zealand (TVNZ) and Radio New Zealand (RNZ). While RNZ remains commercial-free, about 90% of funding for TVNZ comes from selling advertising during programmes on their two stations. TVNZ continues to be a public broadcaster; however like CBC Television in Canada it is essentially a fully commercial network in continuous ratings battles with other stations, which continues to be a controversial issue within New Zealand. With the shutdown of TVNZ 7, the only fully non-commercial public-service network in New Zealand is Radio New Zealand. Aside from television, New Zealand has a rich public radio culture, Radio New Zealand being the main provider, with a varied network (Radio New Zealand National) and a classical musical network (Radio New Zealand Concert). RNZ also provides the Pacific with its Radio New Zealand International. Aside from RNZ almost all of New Zealand's 16 regions has an "access radio" network. All these networks are commercial-free. ^ "Public Broadcasting – Why, How?" (PDF). UNESCO & World Radio and Television Council. Retrieved 17 August 2011. ^ "BRU definition of public service broadcasting". Retrieved 13 October 2014. ^ a b c Raboy, Marc (1995). Public broadcasting for the 21st century. Indiana University Press. pp. 6–10. ISBN 1-86020-006-0. ^ Banerjee, Indrajit (2006). Public service broadcasting in the age of globalization. Asian Media Information and Communication Centre (AMIC). ISBN 981-4136-01-8. ^ a b Simon P. Anderson; Stephen Coate (October 2005). "Market Provision of Broadcasting: A Welfare Analysis". The Review of Economic Studies. 72 (4): 947–972. doi:10.1111/0034-6527.00357. ^ Charter of the Corporation (ABC). Australian Broadcasting Corporation Act 1983: Section 6. ^ "The Birth and Death of The Canadian Radio Broadcasting Commission (1932-1936)". Canadian Communications Foundation. Retrieved June 23, 2017. ^ "Broadcast Distribution Regulations (ss. 17(d) and 17(f))". Justice Laws Website. Department of Justice. February 28, 2014. Retrieved June 23, 2017. ^ "Canadian cablecos to do the FOX trot". Alberta Report / Newsmagazine. September 12, 1994. p. 43. ^ Etan Vlessing (July 31, 2009). "Canada-U.S. cross-border station shake-up". The Hollywood Reporter. The Nielsen Company. Associated Press. Retrieved June 23, 2017. ^ "Decision CRTC 95-472". CRTC. 1995-07-20. Retrieved 2011-09-03. ^ "Applicant response dated 6 December 2010". Retrieved 2011-03-17. ^ Citytv expanding into Quebec & Western Canada Archived May 9, 2012, at the Wayback Machine, CityNews, May 3, 2012. ^ "The History of Public Broadcasting". UNC-Chapel Hill Master of Public Administration. October 21, 2013. Retrieved June 21, 2017. ^ "Federal Regulations Title 47, Part 73, §73.501 Channels available for assignment". United States Government. Retrieved 2016-11-22. ^ "Federal Regulations Title 47, Part 73, §73.513 Noncommercial educational FM stations operating on unreserved channels". United States Government. Retrieved 2016-11-22. ^ "About Us: 50 Years of HoustonPBS History". KUHT – HoustonPBS. Retrieved July 19, 2008. ^ John Edward Burke (1980). An Historical-Analytical Study of the Legislative and Political Origins of the Public Broadcasting Act of 1967. Dissertations in Broadcasting. Ayer Publishing. ISBN 0-405-11756-6. Retrieved June 21, 2017. ^ "Television in the United States". Encyclopædia Britannica. Retrieved June 21, 2017. ^ "Public Broadcasting Act of 1967" (PDF). Corporation for Public Broadcasting. Retrieved June 21, 2017. ^ Emily Hellewell (November 8, 2012). "How Public Radio Scotch-Taped Its Way Into Public Broadcasting Act". NPR. Retrieved June 21, 2017. ^ "Alternative Sources of Funding for Public Broadcasting Stations" (PDF). Corporation for Public Broadcasting. June 20, 2012. Retrieved June 21, 2017. ^ "Guidelines for programs distributed by PBS". PBS. Retrieved October 13, 2014. ^ "Current.org – For people in public media". Current. Retrieved October 13, 2014. ^ "Public Media – Free Press". Free Press. Archived from the original on 2017-06-05. Retrieved June 21, 2017. ^ Keach Hagey (October 23, 2010). "Defunding NPR? It's not that easy". Politico. Capitol News Company. Retrieved June 20, 2017. ^ Michael Fedo (June 2, 2017). "America needs public broadcasting, and arts and humanities agencies". MinnPost. Retrieved June 20, 2017. ^ Brian Stelter (March 16, 2017). "PBS and NPR are ready to fight budget cuts -- again". CNN Money. Time Warner. Retrieved June 20, 2017. ^ Matt Gertz (January 19, 2017). "Corporation For Public Broadcasting: Reported Trump Privatization Plan Would Be "Devastating" To Public Media". Media Matters. Retrieved June 20, 2017. ^ David Burke (June 27, 2008). "WQPT to eliminate several PBS shows". Quad-City Times. Lee Enterprises. ^ Dru Sefton (July 9, 2012). "PBS discount plan a 'no-brainer' for WLVT". Current. Current LLC. ^ Meikle, Graham (2002). Future Active: Media Activism and the Internet. Psychology Press. p. 71. ISBN 978-0-415-94322-2. ^ George H. Gibson, Public Broadcasting; The Role of the Federal Government, 1919–1976 (Praeger Publishers, 1977). ^ Bruce, Iain (28 June 2005). "Venezuela sets up 'CNN rival'". BBC News. ^ "Public Service Broadcasting in Nepal". Retrieved October 13, 2014. ^ "-". Retrieved 13 October 2014. ^ Khabyuk, Olexiy; Manfred Kops (2011). Public Service Broadcasting: A German-Ukrainian Exchange of Opinions. LIT Verlag Münster. ISBN 9783643800947. ^ Chen, (程宗明) (2001-05-25). "International Connections for Public Media Research and Development [公共媒體研發之國際連線--以數位化知識為例(歐洲篇)]". Public Television Service Foundation (Taiwan) 公共電視台研究發展部. Retrieved 2013-09-08. ^ Mediennetz Hamburg [Hamburg Media Network] (2010-09-27). "Hans-Bredow-Institut für Medienforschung feierte seinen Geburtstag". Retrieved 2013-09-08. ^ "Media Law in Hungary". Center for Media and Communication Studies (CMCS). Retrieved 23 August 2015. ^ "MTVA - Médiaszolgáltatás-támogató és Vagyonkezelő Alap portálja - ENGLISH". Media Service Support and Asset Management Fund (MTVA). Archived from the original on 29 May 2014. Retrieved 29 May 2014. ^ "Hungarian public service media companies merge - MTVA". Media Service Support and Asset Management Fund (MTVA). Archived from the original on 22 December 2015. Retrieved 23 August 2015. ^ Polyák, Gábor (2015). "Hungary : New Amendment to the Media Act". IRIS Legal Observations of the European Audiovisual Observatory. Strasbourg, France: European Audiovisual Observatory (2). Retrieved 23 August 2015. ^ "EBU - Active Members". European Broadcasting Union. Retrieved 23 August 2015. ^ "Consumer protection group wants TV fees abolished". B92. Archived from the original on October 19, 2013. Retrieved October 13, 2014. ^ "The TVNZ Charter". Retrieved 2011-02-20. Public Radio Fan website, Public Radio Fan is a listing of public radio programs and stations worldwide. Interview with public radio guru Jay Allison on the purpose of public media, on ThoughtCast. Comparative Advantage – Some Considerations Regarding the Future of Public Media. Ray Fitzwalter on public service broadcasting in Britain London Frontline Club, May 2008. PSB-Digital: Research project about the adaptation of Public Service Broadcasting to new technologies.